Murray State University‘s game versus Belmont was postponed due to wet field conditions and will be made up as part of a double-header in Nashville on May 3. 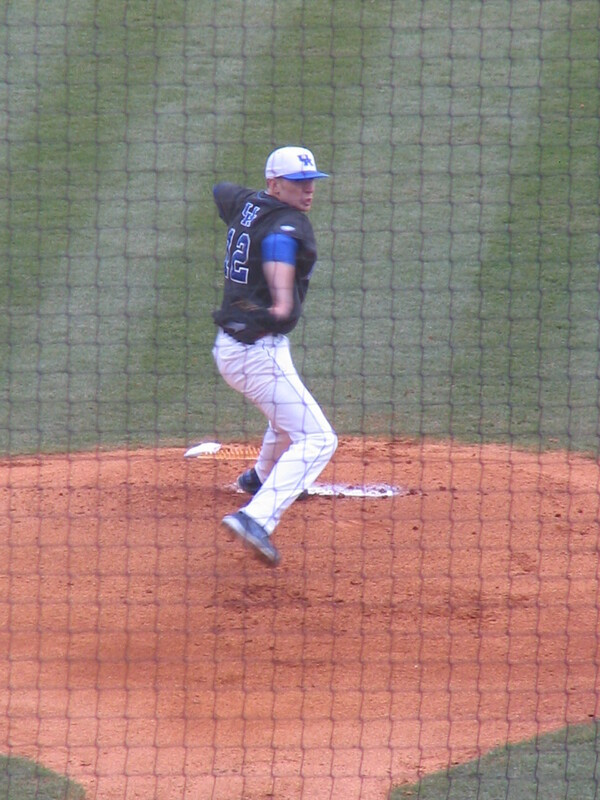 The University of Kentucky used seven strong innings from freshman left-handed pitcher Corey Littrell and a four-hit performance from senior shortstop Taylor Black to pound out an 8-1 win over Eastern Kentucky University. Littrell earned his second win of the season after surrendering one run on three hits in seven innings while striking out five batters and walking two. Black finished the game a home run shy of the cycle at 4-5 with one double, one triple, one RBI and three runs scored. Sophomore center fielder Brian Adams was 2-3 with one RBI and one run scored, and freshman second baseman Paul McConkey scored two runs. The departed — Second baseman Chris Bisson, a 2010 junior, was a stalwart in the middle of the UK defense and lineup during 2010, batting .329 with five home runs, 35 RBI and 43 runs scored. 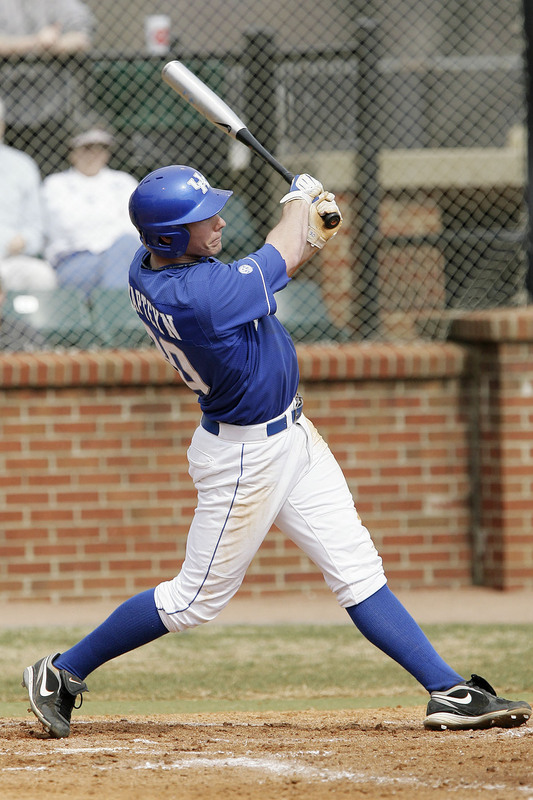 Bisson, who moved on to professional ball following the season as the fourth-round pick of the San Diego Padres, batted .325 in his three-year UK career with seven home runs, 91 RBI and 101 runs scored. Bisson led the Southeastern Conference with 32 stolen bases in 2010 and was honored with a second-team all-SEC selection following the season. 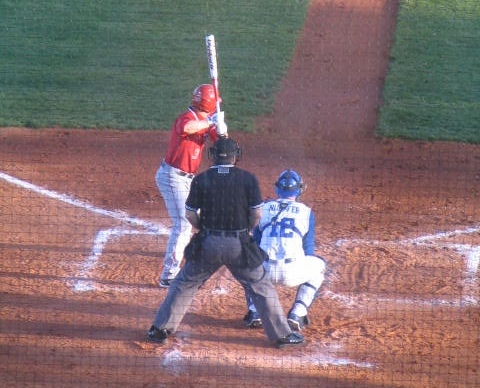 The left-handed batter missed five games after being hit in the face by a pitch during a game versus Monmouth on March 6. Returning candidates — Redshirt senior infielder Neiko Johnson started 21 games for UK in 2010 and filled in for Bisson at second base while he recovered from the early season hit-by-pitch. Johnson batted just .171 in 33 games but boasted an impressive .388 on-base percentage and stole 24 bases in 25 attempts. This summer Johnson batted .307 with 25 stolen bases in the Coastal Plains League…Redshirt freshman Tyler Townsend, who sat out during the 2010 season, is the only other returning backup infielder on the roster. Townsend batted .220 in 36 games in the New York Collegiate Baseball League this summer. Newcomers to watch — In a recent interview with College Baseball Daily UK head coach Gary Henderson listed freshman infielders Dallen Reber, Paul McConkey, J. T. Riddle and Matt Reida as standouts during fall practice. Riddle and Reida profile best as middle infielders and should push for early playing time at second base. Henderson told CBD that Reida was the most advanced of the group defensively, so that praise can only help his chances. When Reida signed with UK, Henderson described him as a future stalwart at middle infield and the leadoff spot in the lineup. 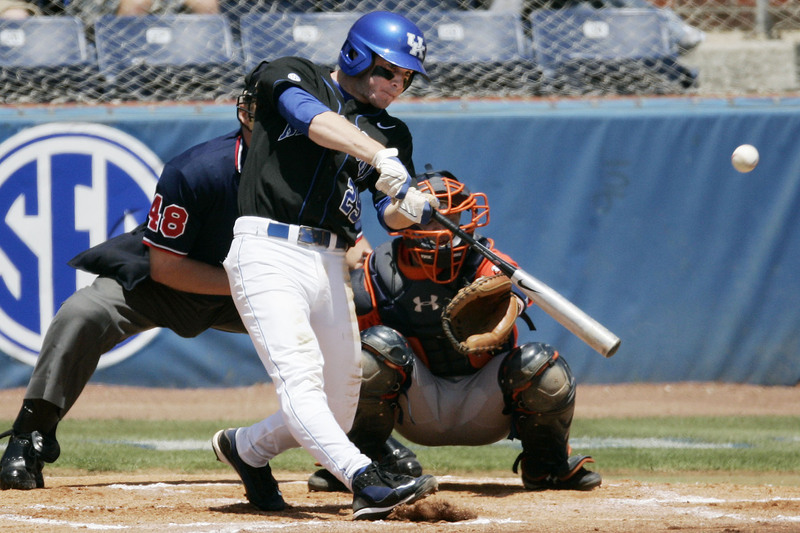 The Chicago White Sox selected Reida in the 47th round of the 2010 draft…Riddle was named Mr. Kentucky Baseball in 2010 after batting .514 with 7 HR, 62 RBI and 20 stolen bases as a senior at Western Hills High school. He was the 35th round pick of the Boston Red Sox in 2010. Riddle homered during UK’s Fall World Series and could pitch for UK as well. Wildcard — UK’s lone returning starting infielder is shortstop Taylor Black, the 28th round pick of the St. Louis Cardinals in the 2010 draft, so the second, third and first base positions could be a revolving door in 2011. The Cats aren’t lacking candidates for the vacant second and third base positions, but Henderson could decide not to name a full-time starter at either position early in the season and instead choose to rotate several of the players. Ideally UK would have a fairly consistent lineup in time for conference play, but don’t be surprised in Johnson, Reida, Riddle, Reber, McConkey and Townsend rotate early in 2011. The start of the 2011 college baseball season is less than two months away, so it’s time to start looking at what Kentucky players need to step up for their respective schools. In the coming weeks we’ll look at an almost-daily series that examines offseason position battles at each of the state’s five division one baseball programs. 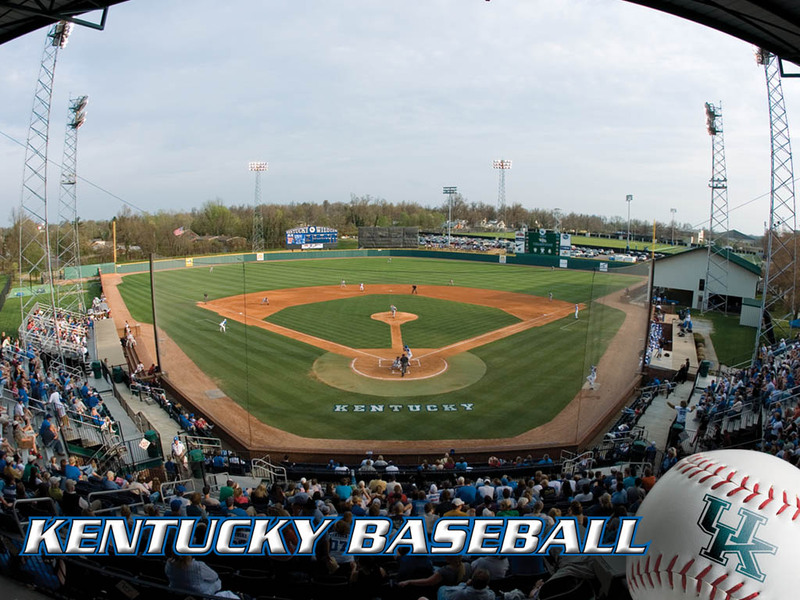 We’ll begin the series with a look at the University of Kentucky‘s first base slot. The departed: Senior Gunner Glad and junior Lance Ray were UK’s primary first baseman during the 2010 season. Rising junior Braden Kapteyn is the only returning Cat with significant playing time at first base, but head coach Gary Henderson would probably prefer to keep him at designated hitter for the added flexibility not fielding provides in bringing Kapteyn in on the mound. With Ray and Glad moving on to the professional ranks, finding a new first baseman will be among the most important tasks for Henderson and his staff this Spring. The returning candidates: In addition to Kapteyn catchers T. J. Daugherty, Luke Maile, Michael Thomas and Michael Williams could each conceivably spend some time at first base, though the group will probably see most of its playing time come behind the plate. Rising sophomore Tyler Townsend is the only returning infielder on the roster with the height one usually relates to a first baseman. Newcomers to watch: Reports out of UK’s fall camp had freshmen infielders Dallen Reber, Matt Reida, Paul McConkey, and J. T. Riddle pushing for early playing time. Reida and Riddle figure to be primarily middle infielders leaving Reber as probably the leading newcomer candidate at both the vacant corner infield positions. Reber blasted a three-run home run in game two of UK’s fall World Series while playing first base but did have a fielding error in the game. Wildcard: Matt May of The Cat’s Pause recently reported redshirt freshman football quarterback Ryan Mossakowski would suit up for the Bat Cats this spring. At 6-4 Mossakowski looks the part of a first baseman but will probably need significant time adjusting to SEC baseball after sitting out two years following shoulder surgery as a senior in high school. Mossakowski was named All-District in baseball for his Texas high school twice before the injury. Earlier today we linked Perfect Game USA‘s underclassmen high school All-American teams. Perfect Game partnered with Rawlings Sporting Goods to release the senior All-American team a few weeks ago, but several Kentucky high schoolers and in-state college signees were honored, so the list is still worth passing along. I’ve included those players with school and college commitment below, but you can see the full team here.